Everyone agrees that digitalisation is a social mega-trend. But what does that exactly mean for ecology and justice? A socially and environmentally friendly, sustainable future? Or a digital turbo-capitalism, where the economy grows beyond planetary boundaries and power is held by only a few? 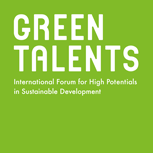 The Green Talents Competition promotes young, up-and-coming scientists who seek answers to these questions and discuss proposals to reconcile digitalisation with global sustainable development. Prof Tilman Santarius has been researching and working on digitalisation and sustainability since 2001. Following his studies in sociology, ethnology, and economics, Prof Santarius worked as Senior Research Fellow in the interdisciplinary project “What Kind of Globalisation is Sustainable?” at Wuppertal Institute. 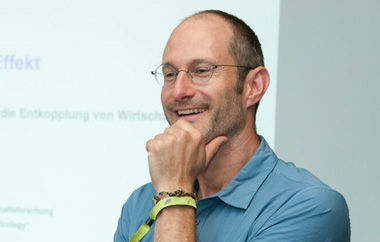 From 2009 to 2011, Prof Santarius was Head of International Climate and Energy Policy at the Heinrich Boell Foundation. Between 2012 and 2015, he wrote his PhD thesis at the University of Kassel and moreover spent a year at the University of California, Berkeley. Since 2016, Prof Santarius has led a junior research group on digitalisation and socio-ecological transformation at Technical University of Berlin (TU Berlin) and the Institute for Ecological Economy Research (IÖW). The group focuses on the question of how to design digital services more sustainably. 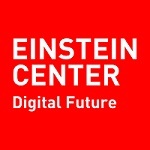 In 2017 he became professor of socio-ecological transformation at TU Berlin and the Einstein Center Digital Future (ECDF). Prof Santarius publishes on topics such as climate policy, world trade, sustainable economics, global justice and digital transformation. Apart from numerous articles, he co-authored the books “Fair Future. Limited Ressources, Security, and Global Justice” (2007); “Slow Trade – Sound Farming. A Multilateral Framework for Sustainable Markets in Agriculture” (2007); “Rethinking Climate and Energy Policies” (2016); and “Smart Green World. Digitalization between Surveillance, Commerce and Sustainability” (2018). Furthermore, Prof Santarius served as member of the board to the NGO Germanwatch between 2007 and 2016. Since 2016, he has been member of the board of Greenpeace Germany.